Planning your wedding is always an exciting time especially if you decide to celebrate this wonderful occasion by organising a luxury wedding you really should consider to get married on the Italian Riviera or in Tuscany. The Riviera in Italy is a very popular destination for luxury weddings on the sea. Here couples can find a vast selection of stunning elegant wedding venues: from private luxury villas and elegant hotels to superb yachts. From the beautiful hills surrounding Portofino you can enjoy marvellous views of the Mediterranean sea not forgetting the Corsican mountains. Monte Portofino stands above the village, an impressive backdrop for your wedding photographs and a stunning destination for a luxury wedding in Italy. A beautiful Mediterranean landscape, a warm climate and good food will make your wedding in Italy a most perfect day for your and your guests. The Italian Riviera features numerous elegant wedding locations such as Portofino or Santa Margherita. The small town of Santa Margherita is a picturesque location with palm trees, a marina, superb hotels and cosy Italian restaurants. 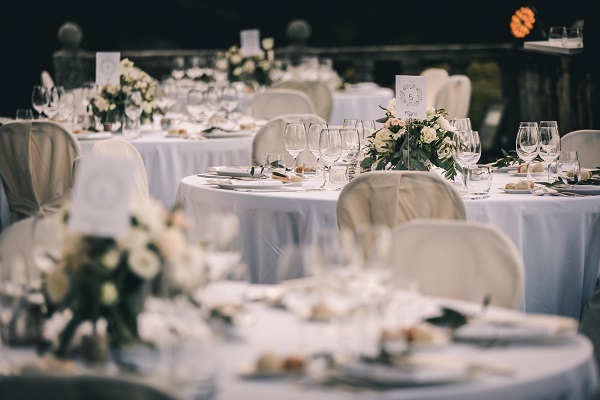 There are delightful palazzos for weddings or old baroque churches, while for a sumptuous reception, specialised wedding venues can cater for large numbers. Choose from a huge range of mouth-watering meals and locally made wines to make your wedding day even more enjoyable. If you do decide to have a luxury wedding in Tuscany you definitely won’t be disappointed. Wherever in Tuscany you choose to get married you can be sure of the best luxury wedding locations. Getting married in Tuscany offers couples the opportunity to enjoy sheer elegance, rustic charm and a cosmopolitan feel to the whole day. In the evening the wedding party can enjoy beautiful sunsets which will surely be a wonderful memory to a luxury wedding in Tuscany. Tuscany offers an incredible variety of luxury wedding venues to choose from. There are antique elegant castles or luxury hotels and villas. Your wedding day is a very special, personal occasion and one you will treasure for the rest of your life. Make it even more spectacular by arranging a luxury wedding in Tuscany or on the Italian Riviera. Beautiful places steeped in history, interesting culture, heritage and natural elegance. For your Italian luxury wedding there are so many best luxury wedding venues to choose from that you are quite spoilt for choice.